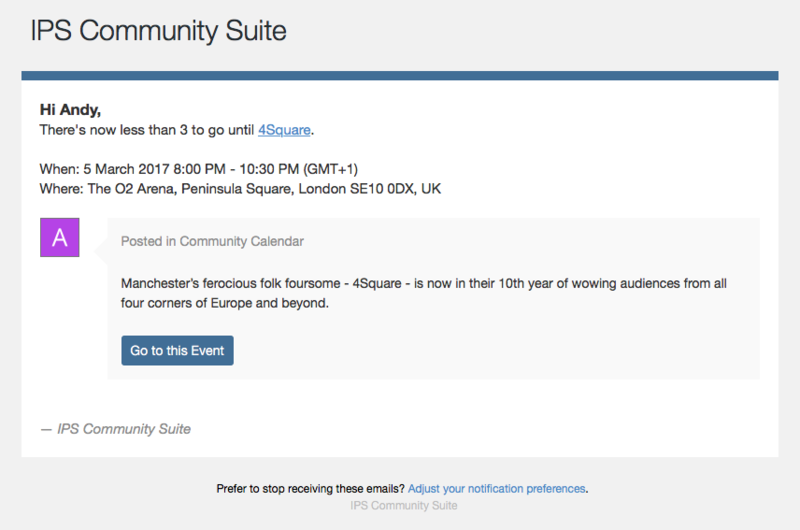 There are many Calendar related improvements in 4.2 designed to make adding and engaging with events easier than ever before. First of these is Event Reminders. Reminders are easy to create. 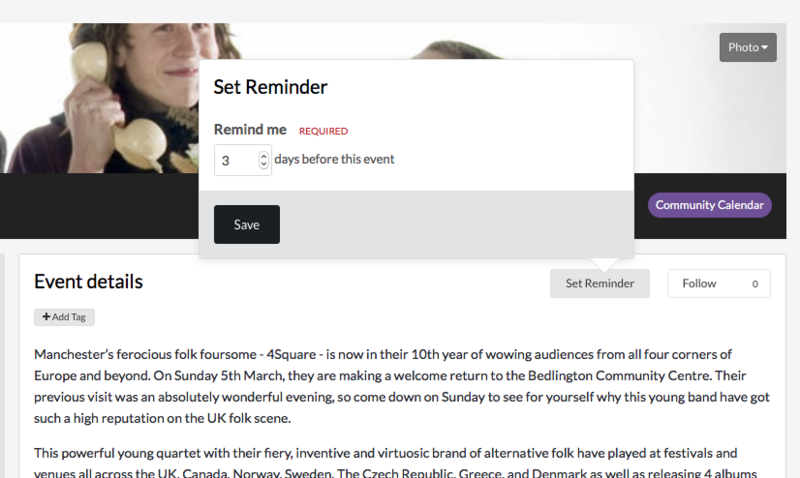 Simply use the Set Reminder button shown on all future events and specify when you would like your reminder. Changed your mind? Simply adjust the reminder or remove it altogether. When the time comes a notification will be sent via the member's chosen email or inline method. 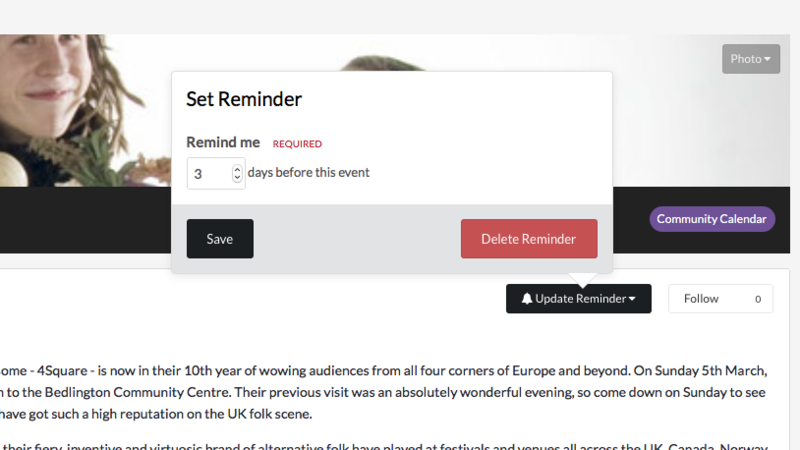 Event reminders are a simple but often requested feature and we're excited to be introducing it with 4.2. Don't forget to follow the News & Updates section as we have many more announcements to help keep your members engaged.